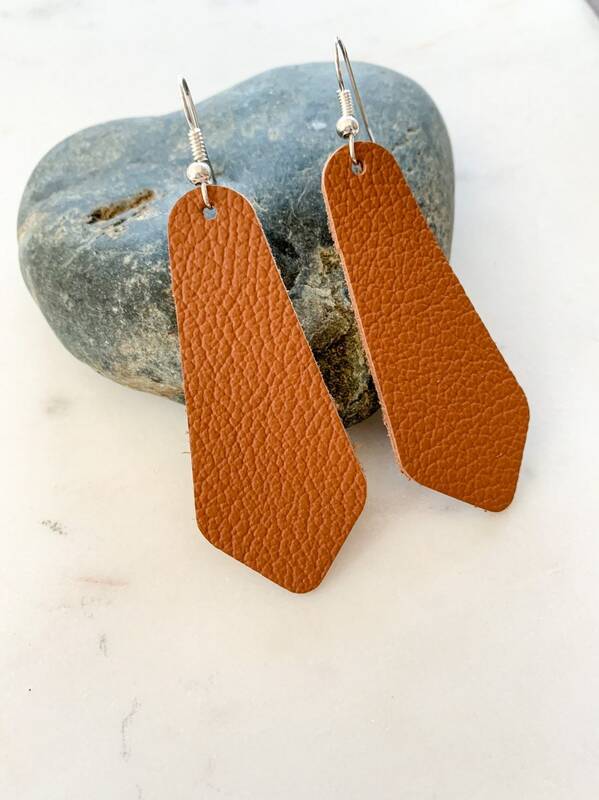 Soft genuine leather earrings cut in a delicate bell shape with a leather die for a crisp finish. 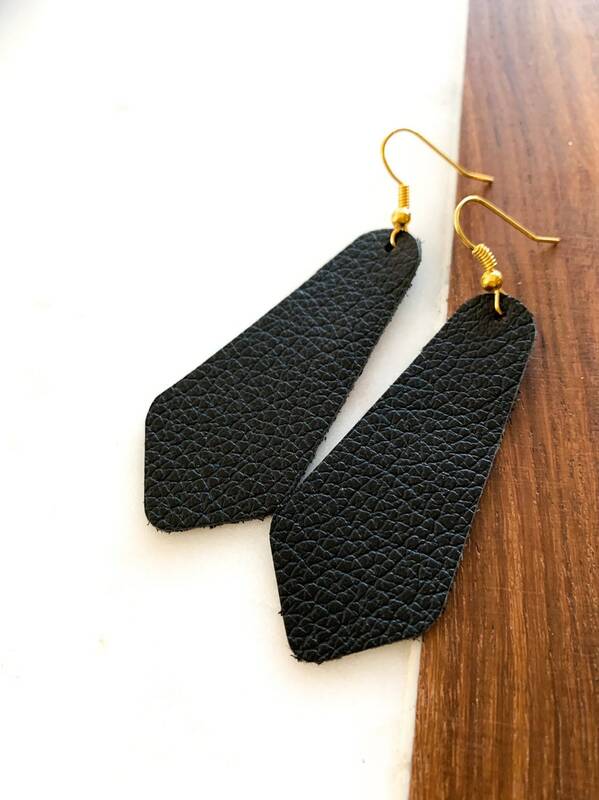 The leather is so supple and lightweight, you'll hardly notice them! Backing is a “furry” suede finish. Finished with antique bronze, antique brass, silver or gold fish hook with silicone stoppers. 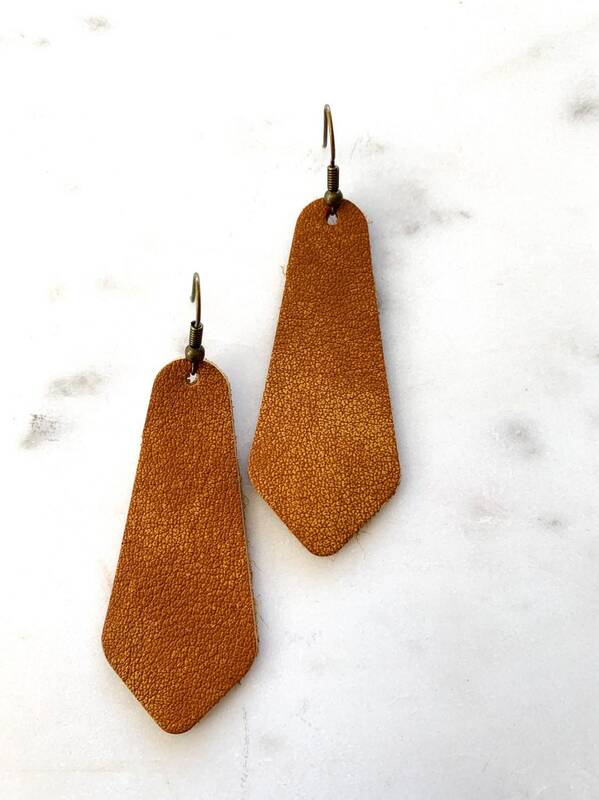 ►Featured pic is antique brown with antique brass hooks. 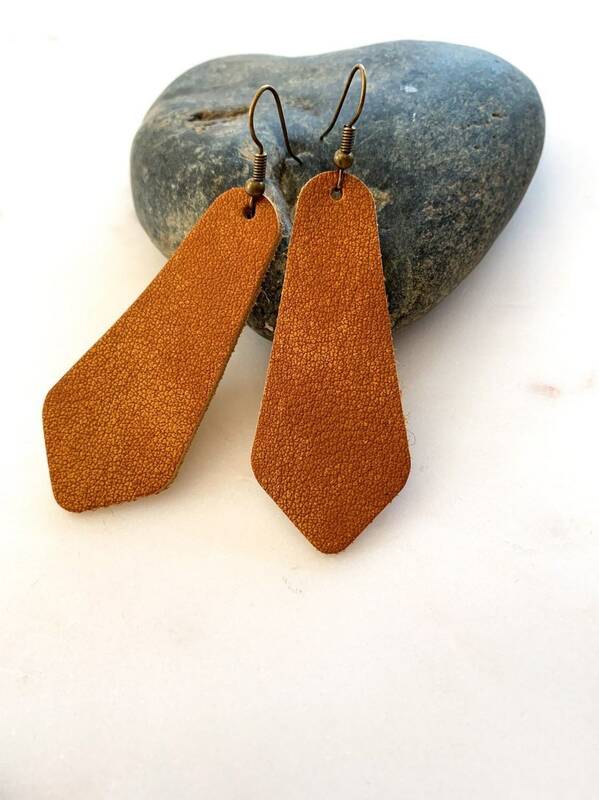 ►Finished with antique bronze, antique brass, silver or gold ear wires with silicone stoppers.